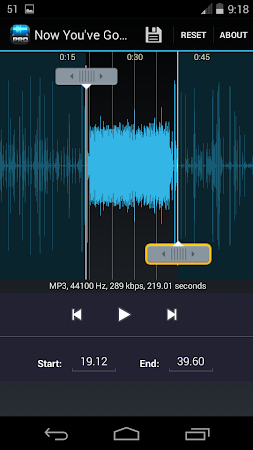 Ringtone Maker & Mp3 Cutter HD is a free android app that creates ringtone, alarms, and notifications from MP3, WAV, AAC, WMV files. You should choose the start and ending notes by sliding arrows along the timeline. Ringtone Maker & Mp3 Cutter HD Features: Cut, Copy and paste. Aristeia is the developer of this application which belongs to the Music & Audio category. The latest update of Ringtone Maker and Mp3 Cutter was launched on Feb 1, 2016 and the app has been set up by over 5K users. According to the latest information, the tool is rated 4.3 on Google Play. This application shows adverts. 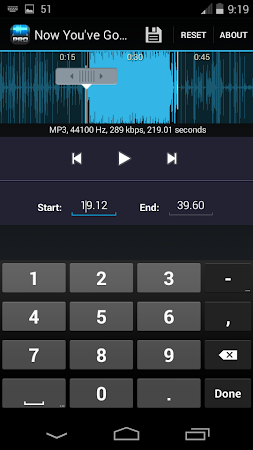 Use the opportunity to get the setup package of Ringtone Maker and Mp3 Cutter 1.0 free of charge and read users' reviews on Droid Informer. The app is designed for Android 3.0 and higher. The download of the app is 100% secure. 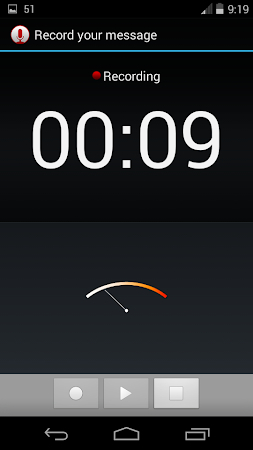 Some users indicate that the main disadvantage of this application is full page ads. 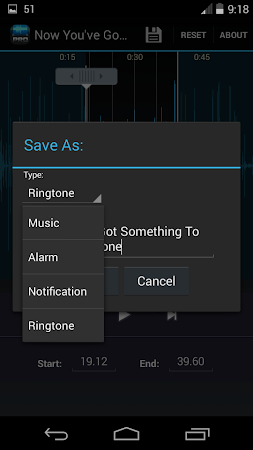 Would you like to have a scary sound as your personal ringtone for Android? A perfect free PDF reader for office and personal use. This is best voice changer app with Multiple voice effects. Basketball Shoot is an Easy but very addictive game. Two players can play at the same time. Single player option is also available. It is an addictive game with ultra realistic Graphics. It is one of the world's most exciting golf game with stunning graphics. Calculator Locker Pro+ Hide your photos, videos, notes, passwords. It is a digital version of Chess.